I am going to make this sometime. Yum! That is some awesome rice, and it sounds quite doable when you spell it out! I'd like to hear about the chhole sometime, too. That looks great Manisha, how lovely! and yeah I was thinking abt the event too..looking fwd to that! An autographed copy? Lucky you. Thankyou for the info about this book. 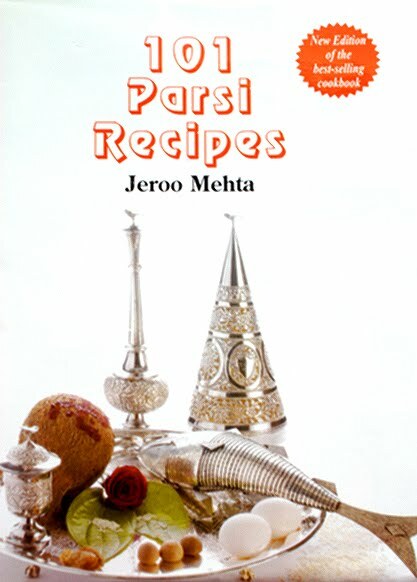 I think it is always difficult to find a good Parsi cooking book. Lucky you getting a signed book. Such a show off! Autographed book! Yes, what about the roundup. Slacker, in addition to the name you were called in the first sentence here. I did try to desist from "..." and "!!! ", as well as show restraint for ':-)'...I do hope I made the cut! Ooh, I've heard so much about Dhansak and not made it. And my aunt had that book, but didn't do much with it, as far as I can remember! I shall try this in Dec when *everything* in the world is going to be tried :D when my sis is down here. All of us are big eaters and she is starving for some good desi khana. So! have heard about dhansak but never tasted it. thanks for the info on the book. would love to try Parsi cuisine sometime. It looks really interesting! What's on top of it? Oh yes, I want to dig in. I just checked Amazon for the book only to found out that it is out of print :( darn! I caramelize chicken all the time but never rice. This is a must try. oh dear, is that the back pain ? Please do take care. And this brown dhansaak looks interesting with the caramelized sugar. That photo too is very pretty. Hmmm. I made a dhansak long, long ago, but never stumbled across this recipe for an accompanying rice- priceless! And aren't you lucky to have this autographed book- how'd you meet her? And look at the silver pieces on the cover! BTW, nigh see lan tro. Kitt, it's much easier than chivda, trust me! The one you have tasted is the 3 cup version. Chhole coming up soon. I am probably making it again this week, with this rice. Srivalli, thank you! Did you send me another entry? I can't find it. TheCooker, sometimes I am lucky, yes! 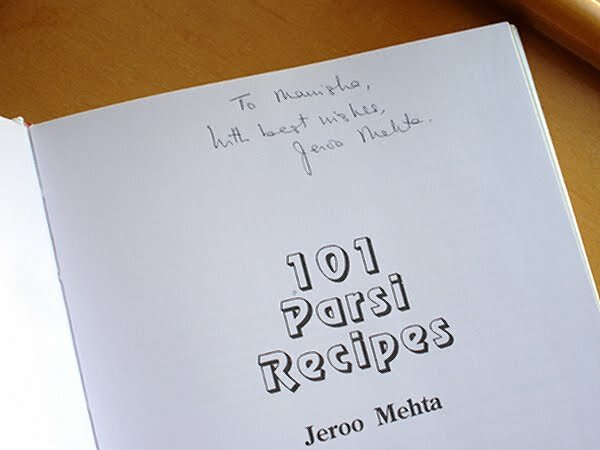 Happy cook, this is one of the best Parsi cookbooks around. It's also the first. Anita, but of course! I now have a total of two autographed cookbooks! Yay, me! Round-up is coming this week. Nandini, dhansaak without meat is not quite dhansaak but you won't know the difference so go for it. I used to make it very often using a - gasp! - Tarla Dalal recipe. From one of her first cookbooks - before she hired mice to churn out recipes for her. A Homemakers Diary, Parsi cuisine is delicious! 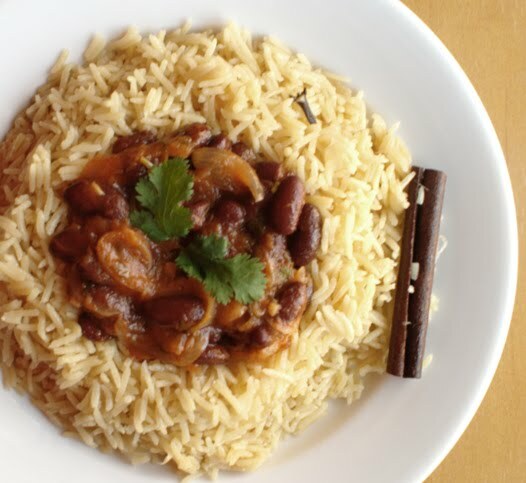 TKW, rajma or dark red kidney beans in an onion+tomato+ginger+garlic sauce. And some garam masala. Cynthia, I believe it is still available in bookstores in India. WizzyTheStick, and I have never caramelized chicken! I guess I will have to try that! Nirmala, yes but I am on the road to recovery. Enough with the whining. Cardamomandotherstuff, seriously? Can't have dhansaak without this rice! And, I am very well connected, you know! Just cos I don't stand on rooftops telling everyone about it like I did with this post dot dot dot grinning smiley! Chhole coming soon. Auntie Pee will not approve but what-the-hey, all my friends did! velchi-dada, your numbers are begging to be severed. I was just wondering if the sweetness is mild or overpowers the taste of onions? Minus the sugar, this recipe is very much like Punju and Sindhi versions of brown rice! I'd love to try this recipe if ti is not overtly sweet. Thank you for telling about this book. I ordered it online and got it today. So eager to try out some authentic parsi stuff. I hear of Dhansak everywhere nowadays...I think its high time I try this dish out. wow.. I want to dig in right away :) It looks so delectable..
hey manisha, hope all's well. that looks absolutely delectable. Lucky you !! Got a great book and made a lovely dish along with the fabulous click. 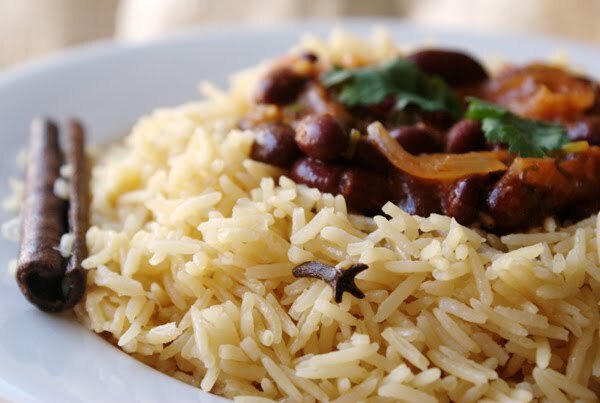 its rajma and brown dhansak rice for lunch.